June 2nd, 2011 by Morpheis, under World of Warcraft. 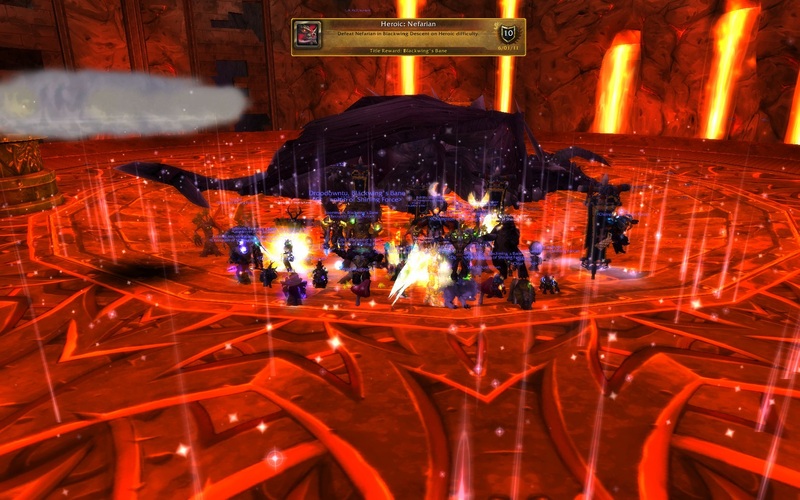 After a close 7% wipe last week we were able to break down the doors of this dragon’s lair and down him after only four attempts, earning us the title Blackwing’s Bane and bringing us up to 9/13 heroic. This was an intense fight, congrats to everyone for sticking through it.